Today's Fort Sill Apache are actually the survivors and descendants of the Chiricahua Apache tribe, whose original territory covered much of what is now the American Southwest in eastern Arizona and western New Mexico along the United States border with Mexico. 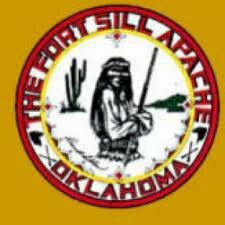 The American Indian tribe known today as the Fort Sill Apache was moved to Oklahoma in 1894 after continuing nearly a decade of imprisonment and exile at U.S. Army installations in Florida and Alabama. They were the last American Indian group to be relocated to Indian Territory. 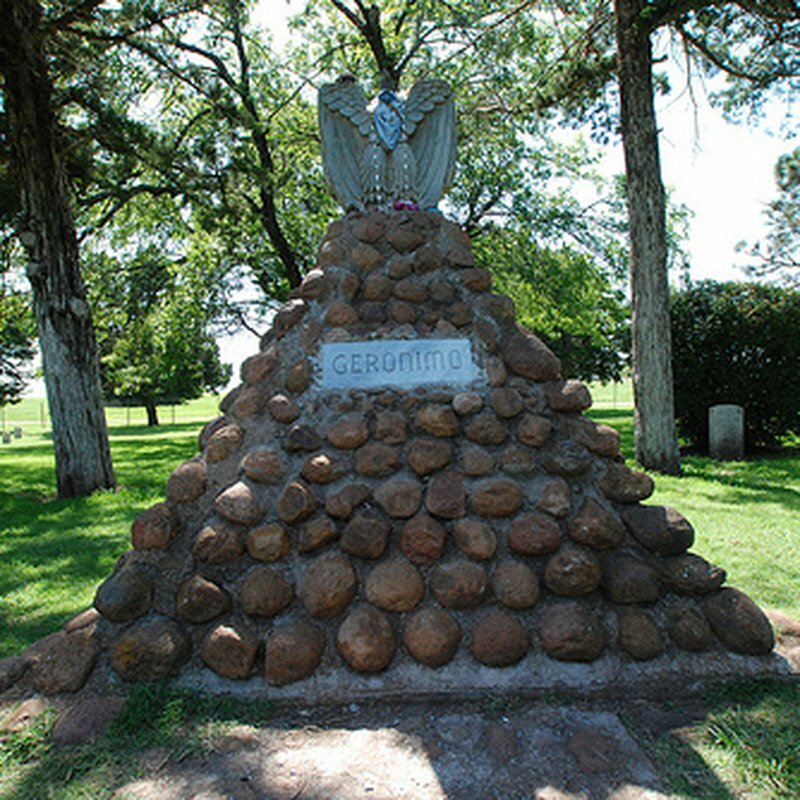 Upon their arrival at Fort Sill, the Apache prisoners of war were told that the fort would become their permanent home, and the military reservation was enlarged for that purpose. 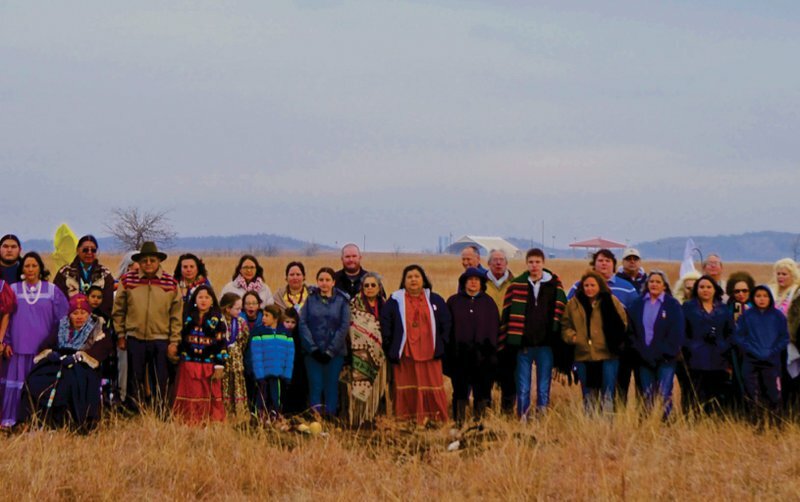 Following the allotment of surrounding Indian lands, local non-Indian politicians, business leaders and U.S. Army officials agitated for the continued presence of the military near Lawton. By 1910, these individuals began the final orchestration to remove the prisoners of war from the military reservation. 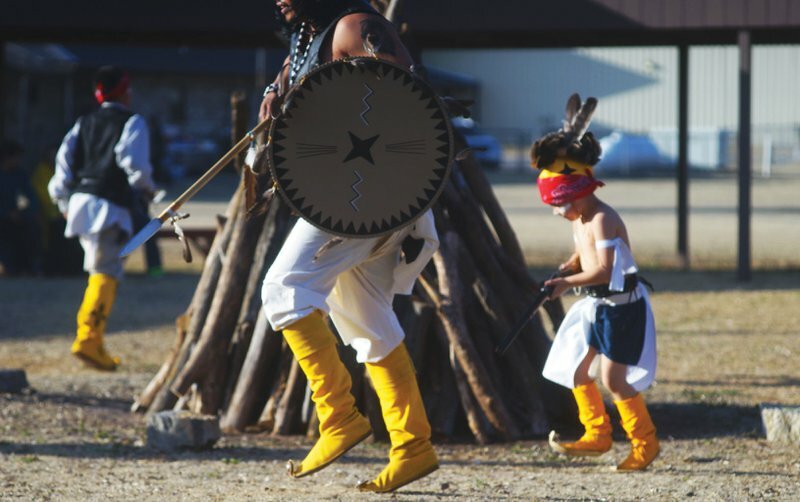 The Chiricahua were pressured to leave Fort Sill as a condition for their freedom, but many held out for return to their homeland for allotment at Fort Sill. A compromise solution between the Indian Bureau and the War Department led to the settling of those Fort Sill Apache who declined joining the Mescarlo Apache Reservation (in New Mexico), on unused (dead) allotments from the old Kiowa-Comanche-Apache Reservation lands near Fort Sill. On April 2, 1913, in an event recalled by the Fort Sill Apache as "the Parting," 180 Apache prisoners of war were relocated from Fort Sill to Mescalero, NM. The remaining prisoners of war, numbering about 81 individuals in about 20 families, were eventually released and resettled on small allotments scattered around Apache and Fletcher, Okla., by the end of 1914. Now known as the "Fort Sill Apaches," the tribe was dumped into the impoverished rural economy of southwestern Oklahoma and struggled to survive alongside their Indian and Euro-American neighbors. The history of the Fort Sill Apache Tribe in the 19th and 20th centuries is marked by a high level of accommodation with the larger non-Apache as well as non-Indian cultural situation of southwestern Oklahoma. This resulted in significant loss of cultural identity due to the loss of a viable land base, a native spoken language, and other aspects of Chiricua Apache culture.